The objective of this study is to examine the characteristics that are considered essential for the success of entrepreneurial activity in an economy; and whether Nigerian women entrepreneurs have adequate possession of these characteristics. The success of entrepreneurs is a boost to an economy and their business development is considered a vital link to an overall economic growth of such a nation. This is made possible through their positive impact on economic development at the grassroots. Entrepreneurships are very vital to a nation’s economic development as they help to create wealth, reduce unemployment and poverty. In other to perform their vital role in economic development of their households, communities and countries, they need to possess certain characteristics. It has been observed that the survival rate of many micro-enterprises in Nigeria is low, and that some entrepreneurs’ access micro-credits from micro-finance banks only to be used to settle other non-business issues. 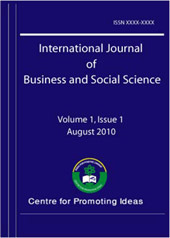 On this premise, this study seeks to examine whether Nigerian women entrepreneurs possess the necessary characteristics, and the effect of such features on entrepreneurial success. Of the 200 questionnaires distributed, 158 were correctly filled and used for the descriptive statistical analysis. The study revealed that majority of women in micro-enterprises had secondary/high school education, had a mean age of 30 years, mean number of children as 3, mean years of business experience as 3 years, married, understood the local language, had training before business and were group members. Motivation, foresight and achievement were also vital characteristics for success. It was also discovered that the majority of the entrepreneurs were not under paid employment before starting micro-enterprises. This showed that they were new entrants into business which may be occasioned by unemployment situation in the country. It also portrayed lack of skill acquisition which called for pre-loan training. The results of the study concluded that women entrepreneurs in Nigeria possess the necessary characteristics for entrepreneurial success. This confirms that most of the failed enterprises belong to the men.